The first Pilatus PC-24 jet available for charter in the U.S., and the second one delivered to a U.S. customer. The Pilatus PC-24 jet and all 9 WestAir charter aircraft are in FlightList PRO‘s multi-search platform along with all 16,631 charter aircraft worldwide. It is the second PC-24 delivered in the U.S., the first, serial number 101 went to fractional ownership company, PlaneSense. Western Aircraft, the Boise, Idaho-based FBO and MRO provider said the PC-24 is in it’s WestAir’s aircraft management program. Western Aircraft noted WestAir’s experience operating Pilatus’ legacy and NG PC-12 turboprops, as well as its role as a Pilatus dealer and authorized service center. WestAir has aircraft based in California, Idaho, and Washington, and provides service to more than 5,000 airports in the U.S., Canada, and Mexico. Pilatus PC-24 jet cabin, the first available for charter in the U.S.
Western Aircraft, based in Boise, Idaho, is described by Pilatus as “its most successful dealership”, having sold more than 230 PC-12 single-engined turboprops since it joined the Swiss airframer’s network in 1996. Looking for better charter sourcing options with less expense? The most-experienced charter brokers use FlightLIst PRO. See About FlightList PRO. The business aviation services company says it has seen strong demand for the PC-24, “with more than a dozen offers to buy the first aircraft”. Despite this demand Western has added aircraft #102 to its inventory, where it will be used for ad hoc charter and, for the coming year, as a company demonstrator. “This gives us the ability to show the PC-24 to existing order holders, and also to prospective customers who want to get in on the next block of aircraft when Pilatus re-opens the orderbook,” says Phil Winters. Sources: Charter operator press release and articles by FlightGlobal and Aviation International News. 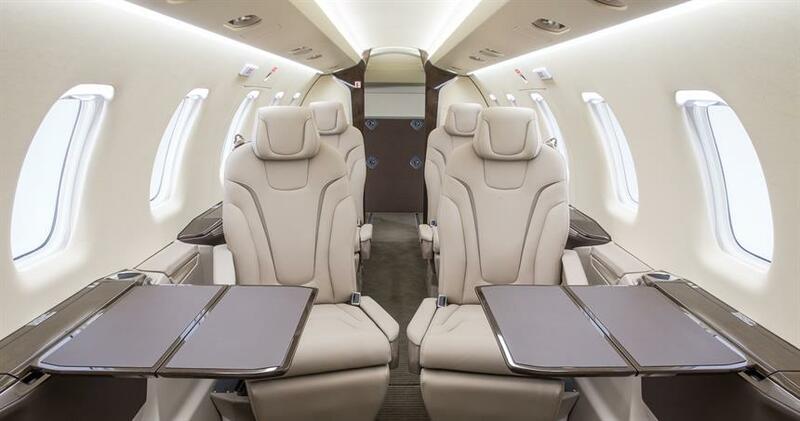 This entry was posted in Operator Updates, Private Aviation Industry News and tagged Air Charter News, Pilatus, Private Aviation News on January 15, 2019 by FlightList PRO. 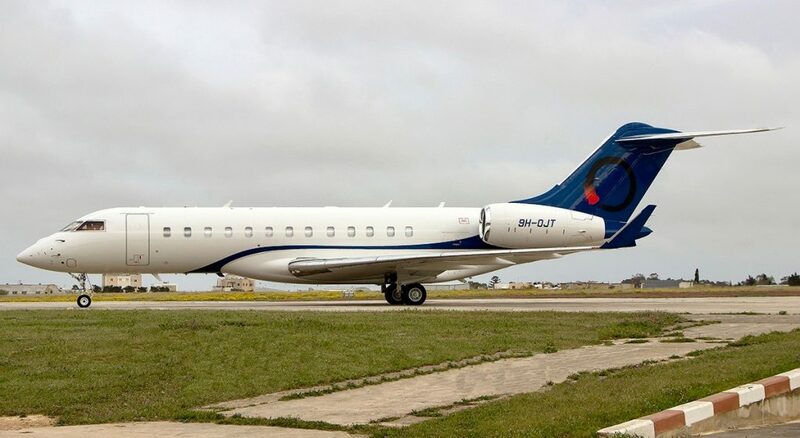 Planet Nine Private Air, LLC, launched its first Dassault Falcon 7X to the international charter market in June, 2018, and added a second 7X in September. Now Planet Nine announces the third aircraft to its all-Falcon 7X floating fleet. 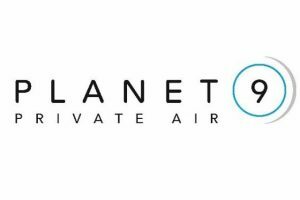 The Planet Nine fleet is available in the Floating Fleet section of FlightList PRO‘s multi-search platform along with all 533 floating fleet aircraft and 37 operators. Headquartered out of Los Angeles, California and London, U.K. with a staff of 28 full time employees, co-founders Matt Walter and James Seagrim are positioning Planet Nine to offer a compelling and competitive offering in the premium end of the ultra long-range charter market. Planet Nine currently carries Wyvern Wingman and ARGUS Gold-provisional ratings. From London, Kirti Odedra heads the Sales Department and Bill Wulf, a former Senior VP and Chief Financial Officer of NetJets with a 20-year tenure serving the group in the US and internationally, serves as Chief Financial Officer. Combined, the management team has over 75 years’ experience in business aviation. Dassault Falcon 7X ultra long range floating fleet available for international charter operated by Planet Nine Private Air. P9 brings a new offering into the long haul business jet market with the 5,950 nm range Falcon 7X, stylishly configured for 11-16 passengers, with six beds for overnight flying. With operating costs at least 30% lower than equivalent Gulfstream G550 and Bombardier Global 6000 aircraft, the 7X has a distinct advantage over its competition. Its aircraft will all feature sparklingly refurbished cabin interiors, including full Wi-Fi and IFE from Gogo/Swift Broadband. On all domestic charters in the US, Wi-Fi will be complimentary. “Charter broker relationships will be very important to Planet Nine, and we are looking forward to working with all the traditional and disruptive companies,” said Director of Sales, Kirti Odedra. “Our operation will centre on a floating fleet model, and the efficiency it brings to our operations we can then pass on to our customers and friends in the form of better pricing,” said James Seagrim, Director of Operations. “From our previous careers at Advanced Air Management, we built an unbeatable boutique operation, renowned for its service, safety and efficiency. Obtaining Wyvern Wingman status in October 2018 was a very pleasing endorsement, said P9PA’s CFO, Bill Wulf, who previously spent 23 years at NetJets in various leadership roles. “As a group of dedicated aviation professionals, we are pleased to be accredited so early in our history, fulfilling Wyvern’s rigorous safety and maintenance requirements,” he said. The Wyvern endorsement recognizes P9PA’s “delivery of consistent and exceptional service and acknowledges the business has the infrastructure to support over 20 aircraft with a best-in-class finance function to deliver a seamless flight experience to their clientele”. 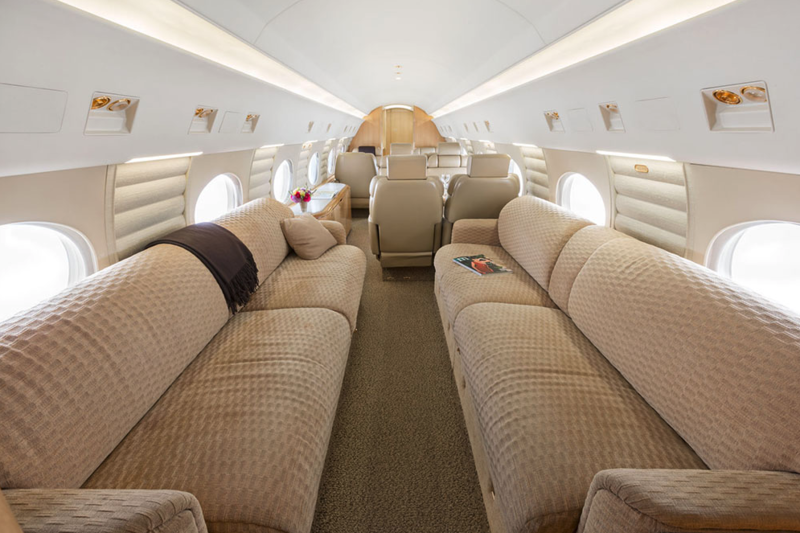 Cabin interior of Falcon 7X long range jet for charter operated by Plane Nine. Sources: Charter operator press release and article by Izzy Kington in Business Jet Interiors International, 11/27/18. This entry was posted in Operator Updates, Private Aviation Industry News and tagged Air Charter News, Falcon, Floating Fleet, Private Aviation News on November 28, 2018 by FlightList PRO. Announcing four new aircraft to the charter market in the U.S. Popular models for charter, the Falcon 7X, Hawker 800XP, Learjet 60XR and King Air 350 are based in favored charter locations for their type aircraft, and are currently available for charter. Operators include Gama Aviation, Cirrus Aviation Services, Elevate Jet and Jet Access Aviation. The below new additions all are ARGUS-rated Gold or Platinum. All are available through the FlightList PRO aircraft sourcing platform, which includes all 16,631 aircraft and 3,419 charter operators, the world’s largest. Hawker 800XP new to the charter market operated by Cirrus Aviation Services, Las Vegas. Learjet 60XR new to charter, based New Haven, CT and operated by Gama Aviation. King Air 350 new to charter, based PBI West Palm Beach, FL and operated by Jet Access Aviation. This entry was posted in Operator Updates and tagged Falcon, Florida, Hawker, Jet Charter Operator, Las Vegas on November 21, 2018 by FlightList PRO. Announcing heavy, super-midsize and light jets new to charter in Florida, the Northeast and the West. 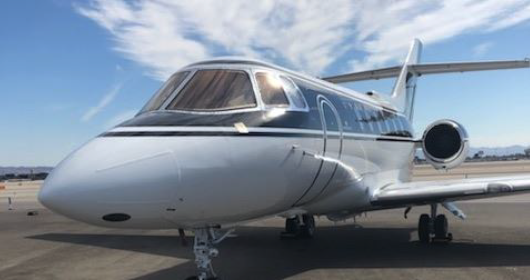 Popular charter aircraft models in popular locations from operators Jet Edge, Elite Air, Latitude 33 and Custom Jet Charters, they have added the following jets to their charter certificates and are currently available. The below new additions all are ARGUS-rated Gold or Platinum. All are available through the FlightList PRO sourcing platform, which includes all 16,631 aircraft and 3,419 charter operators, the world’s largest. New to charter, 2018 Challenger 350 based KSNA Santa Ana, CA operated by Latitude 33. New to charter, Legacy 600 based KBDL Windsor Locks, CT operated by Custom Jet Charters. This entry was posted in Operator Updates, Uncategorized and tagged California, Challenger, Charter Aircraft, Florida, Jet Charter Operator, Teterboro on November 7, 2018 by FlightList PRO. 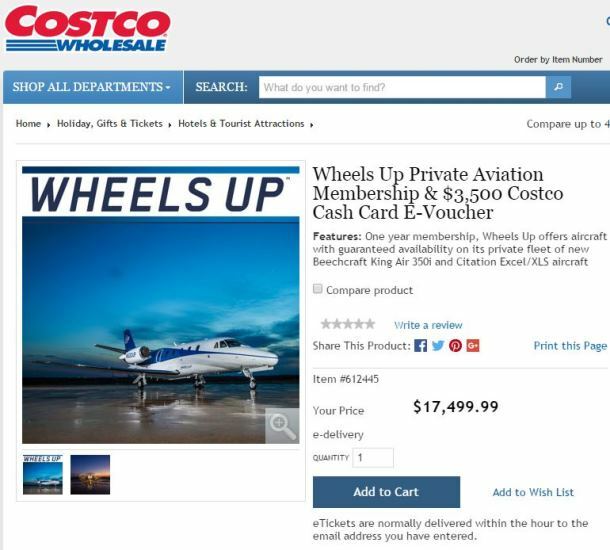 Costco Wholesale is now offering annual memberships to private flight membership program Wheels Up on Costco.com. Offered at $17,500.00 for an annual individual membership, the purchaser is awarded a bonus $3,500 Costco Cash Card E-Voucher. Membership regular price for individuals is $17,500 annually and corporations $29,500 annually according to Corporate Jet Investor. Annual dues (starting second year) are then $8,500 for individuals and $14,500 for corporations, plus a fixed hourly price for each hour flown – the cost per hour of getting on the King Air is $4,495 per hour and the Citation Excel/XLS is $7,495 per hour according to a report from the private aviation industry resource. By comparison charter rates for the King Air 350 average around $2,000 per hour in the US including fees and surcharges, and charter rates for the Citation Excel/XLS average $3,850 per hour round-trip and around $6,000 per hour one-way, according to Rick Colson, president of New Flight Charters, a nationwide leader with a best price guarantee on every flight. The Wheels Up program may be advantageous for those who (1) are frequent users – more than 150 hours per year to bring the total costs per hour down, and who (2) usually fly one-way flights or round trips over many days, according to Colson. “A membership fee does not mean better hourly rates or reliability in this market. Look at your historical or expected usage and compare costs,” he says. FlightList PRO announces the new comprehensive Charter Broker Directory for the US, Europe and Worldwide. Of note on a comparison basis, the King Air 350i requires 18% more flight time than light jets for the same trip, therefore flight costs increase 18% to $5,068 on trip cost comparison basis to light jets. The Wheels Up fleet includes King Air 350i turboprops, Citation Excel/XLS midsize jets, and now two Citation X super-midsize jets.. Costco offers the Wheels Up memberships in their section for Holiday, Gifts & Tickets > Hotels & Tourist Attractions. This entry was posted in Charter Broker Updates, Private Aviation Industry News and tagged Air Charter Memberships, Air Charter News on November 1, 2018 by FlightList PRO. Announced today, Thomas Flohr’s Vista Global has acquired XOJET, the third largest US business jet charter operator by flight hours. Vista Global says that the acquisition of XOJET will allow it to expand further in the US. It launched VistaJet in America in September 2013. The group owns VistaJet, Vista Lease, TechX and at the closing of this newly announced transaction, XOJET’s fleet and commercial operations. XOJET and VistaJet’s full fleets are available in the Floating Fleet section of FlightList PRO‘s multi-search platform along with all 533 floating fleet aircraft and 37 operators. XOJET will continue to operate independently, under a new joint venture company, with control and leadership remaining in US hands to meet airline ownership regulations. The carrier has a fleet of 44 business jets, which includes 27 Cessna Citation Xs. The acquisition is a major step forward for Vista Global, allowing the group to build on its existing global offering and to reinforce its existing position in North America, the largest business aviation market in the world. Following today’s announcement and upon closing of the acquisition, Vista Global will have 1,500 employees in 20 offices worldwide according to its press release. Corporate Jet Investor reports that 10 companies were originally interested in acquiring the company, with a final round of bidding including three companies. Shareholders first held talks during the 2017 NBAA convention. XOJET’s largest shareholders were TPG, one of the world’s most-successful aviation investors, and Mubadalla, the sovereign wealth fund of Abu Dhabi. Although TPG was the largest shareholder, Mubadalla financed the fleet and held significant amounts of XOJET debt. The acquisition price or other conditions has not been announced. ARGUS says that XOJET flew 46,739 flight hours in the first six months of 2018. GAMA Aviation (which operates for itself and for membership provider Wheels Up) flew 72,885 hours followed by Executive Jet Management with 58,305 hours. Completion of the transaction is subject to customary closing conditions. There is no financing condition to the transaction. The transaction is currently expected to close in the fourth quarter of 2018. XOJET’s regulated air carrier will be operated in a joint venture under U.S. control and leadership, in accordance with U.S. Department of Transportation criteria. Sources: Company Press Release and Corporate Jet Investor’s 9/20/18 article by Alud Davies. FlightList PRO, at $90 for 3 users no contract, is a favorite of the most experienced charter brokers and travel professionals; 80% of FlightList PRO users have been arranging charters more than 10 years, 25% more than 20 years. Free trials available. This entry was posted in Operator Updates, Private Aviation Industry News and tagged Air Charter News, Floating Fleet, Jet Charter Operator, Private Aviation News on September 20, 2018 by FlightList PRO. The U. S. Department of Transportation (DOT) is issuing a Final Rule on the role of Air Charter Brokers and consumer disclosures applying to Air Charter Brokers, air taxis and commuter air carriers, and unfair or deceptive practices or unfair methods of competition. Timeline; in 2007 the DOT published an Advanced Notice of Proposed Rulemaking (ANPRM), took public comments, and in 2013 issued a Notice of Proposed Rulemaking (NPRM) and took public comments. The rule has a publish date of 09/17/2018 and becomes effective 02/14/2019. Codifies and allows ‘‘air charter brokers’’ as principals or bona fide agents to provide single entity charter air transportation of passengers. Requires air charter brokers to make certain disclosures including those responsive to a National Transportation Safety Board (NTSB) recommendation and to make other disclosures upon request. Enumerates certain practices by air charter brokers as prohibited unfair or deceptive practices or unfair methods of competition. Requires air taxis and commuter air carriers that sell charter air transportation to make certain disclosures including those responsive to an NTSB recommendation and other disclosures upon request. enumerates certain practices by an air taxi or commuter air carrier as prohibited unfair or deceptive practices or unfair methods of competition. According to the document, The DOT is not adopting a proposal to codify exemption authority allowing indirect air carriers to engage in the sale of air transportation related to air ambulance services. Nor is it adopting a proposal to codify certain air transportation services performed under contract with the Federal Government. The DOT’s final rule document includes each DOT-proposed rule, summary of comments on the rule, and the final DOT Response. It is published here in the Federal Register with a date of 09/17/2018. The pdf “official electronic format” is published here. This entry was posted in Private Aviation Industry News and tagged Air Charter Broker, Air Charter News, Charter Operator, Private Aviation News on September 17, 2018 by FlightList PRO. Each year Inc. Magazine names the fastest-growing privately held small companies in the U.S., called the “Inc. 5000”. 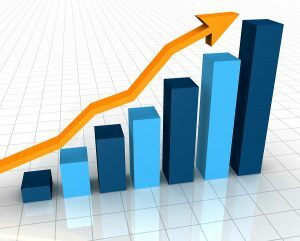 The companies are ranked by overall revenue growth over the prior three-year period. All 5,000 honoree companies are individually profiled on Inc.com. Inc. also ranks the companies into sub-categories by industry, state, metro, city and others. (charter broker) Provides private jet charter services, specializing in challenging itineraries at the industry’s lowest pricing. (charter operator) Specializes in chartered private aircraft, aircraft management, and pilot training. (charter broker) Offers private flights to and from any city in the world with as little as four hours of notice. (charter operator) Provides customer service worldwide in the aircraft charter industry. Serves as an aircraft charter operator for individuals as well as businesses nationwide. 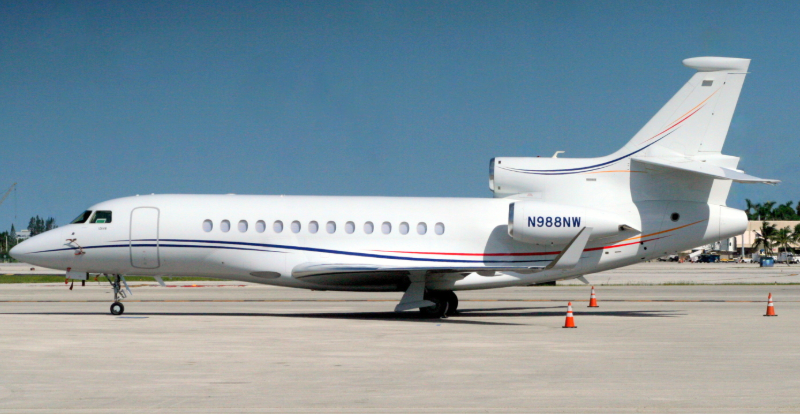 (charter broker) Provides national and international charter jet flights. Offers private jet membership programs and other services for those who require a private jet when they are traveling. One of its perks is the low 10-hour notice that is required before a flight is booked. This entry was posted in Private Aviation Industry News, Uncategorized and tagged Air Charter Broker, Air Charter News, Charter Operator, Private Aviation News on September 11, 2018 by FlightList PRO. Directional Aviation, parent to subsidiary OneSky LLC – which holds fractional provider Flexjet and charter brokers Skyjet and Sentient Jet – announced yesterday the acquisition of U.K.-based online charter broker PrivateFly. Launched in 2008, PrivateFly will combine with charter broker Skyjet, “to create one of the world’s largest online booking platforms for private jet charter, one with a robust digital platform and a physical geography and assets tailored for countries on four continents,” according to Directional’s press release. No purchase price was disclosed. The combined PrivateFly/Skyjet entity will have a presence in both the U.S. and Europe and will leverage OneSky’s existing assets and infrastructure. OneSky’s Flexjet provides fractional jet ownership, leases and jet cards. Sentient Jet sells jet cards exclusively. Skyjet sells on-demand charter and a membership program. 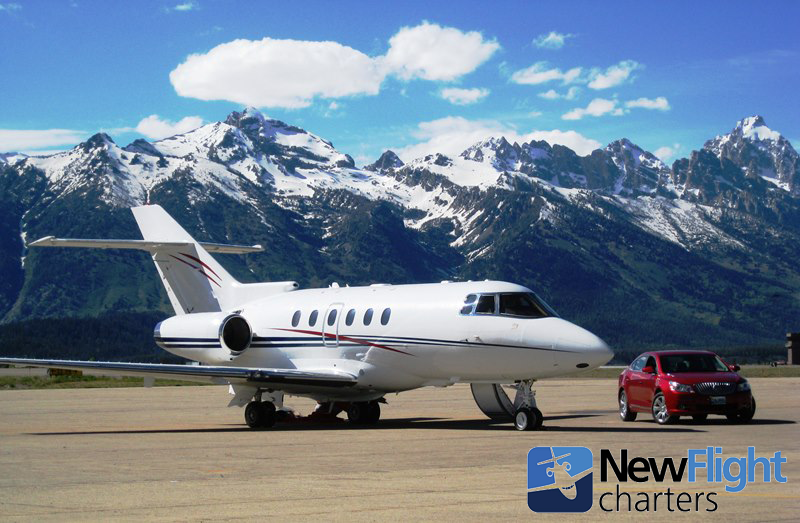 Charter Alerts – current news about charter operators, brokers and aircraft – are posted by FlightList PRO, serving charter brokers and operators with the largest platform of aircraft in the U.S., Europe and worldwide. 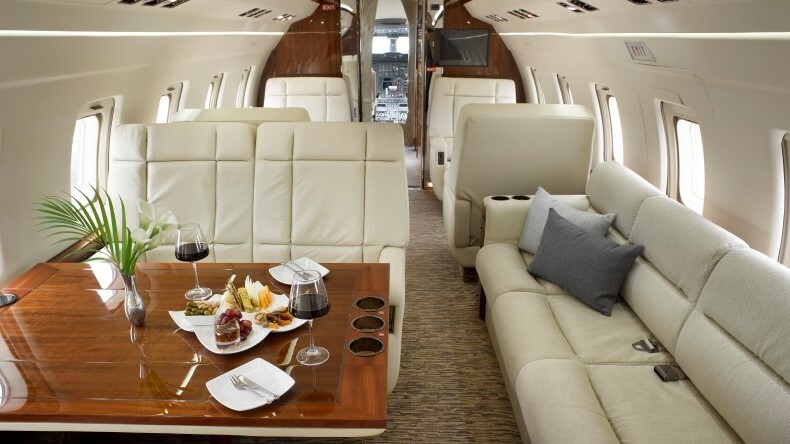 For its part, PrivateFly acquired U.S.-based broker Bird Dog Jet last November bringing with it a preferred supplier relationship to the $23.7 billion Virtuoso network of luxury travel agencies. PrivateFly co-founders Adam Twidell and Carol Cork will lead Skyjet/PrivateFly as CEO and chief marketing officer, respectively, a OneSky spokesman told Aviation International News. They will both report to Andrew Collins, who is now the global brand manager for Skyjet, PrivateFly, and Sentient Jet, and also retains his title as president and CEO of Sentient Jet. Directional Aviation also holds aircraft remanufacturer Nextant Aerospace as well as various parts, services, leasing, and aircraft finance businesses and was estimated to have $2.5 billion in revenues and 3,000 employees in 2017. This entry was posted in Charter Broker Updates, Private Aviation Industry News and tagged Air Charter Broker, Air Charter News, Private Aviation News, UK on September 6, 2018 by FlightList PRO. Challenger 601 new to charter floating fleet availability by operator JetReady. 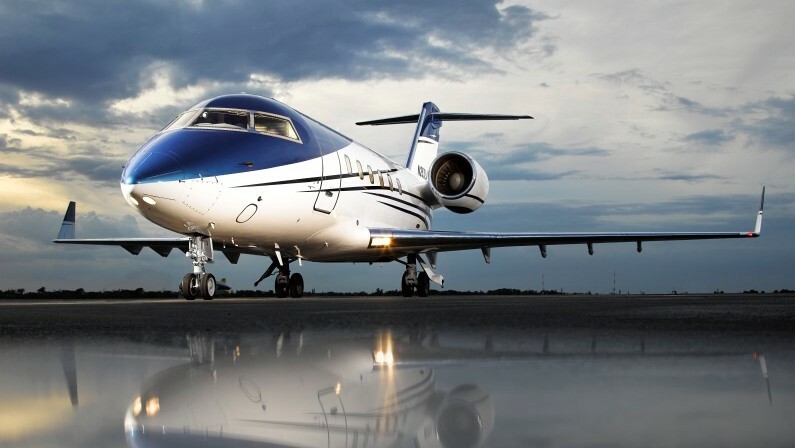 Private jet charter operator JetReady continues to grow its existing charter fleet and has announced their newest charter aircraft addition, available for domestic and international charter flights. The new-to-charter aircraft is a Challenger 601-3A joining JetReady’s charter floating fleet currently comprised of 5 heavy jets with the addition. The aircraft floor plan is a 12 passenger executive configuration and new 2018 renovated modern interior, with a layout of four forward individual captains chairs, an aft 4-place divan opposing a 4-place conference group. The aircraft is equipped with a full-sized forward galley, microwave, complimentary WiFi, display monitors, HD Inflight Entertainment and Airshow 400. JetReady’s floating fleet is included in the Floating Fleets section of FlightList PRO‘s multi-search platform along with all 326 floating fleet aircraft and 29 operators. The Challenger joins JetReady’s charter floating fleet of now 5 heavy jets; 3 Challenger 601’s and 2 Gulfstream IV-SP’s. 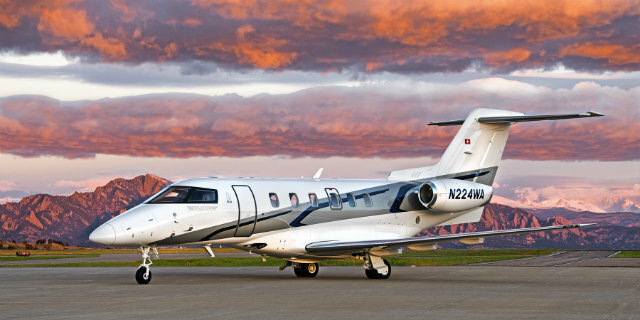 The operator reports more aircraft of these same types, plus Hawker 800XP models in the pipeline for Part-135 charter. This entry was posted in Operator Updates and tagged Challenger, Charter Operator, Floating Fleet, Jet Charter Operator on July 24, 2018 by FlightList PRO. Large cabin jet charters climbed 15% in March, year-over-year. Photo courtesy New Flight Charters. Part 135 flying led business aviation last month with a 15 percent climb in large cabin jet charters. Business aircraft flying in the U.S. and Canada continued its ascent last month, but the 2.6 percent year-over-year increase was once again almost solely due to rising Part 135 activity, according to TraqPak data released by Argus International. Weaker flying at the fractional providers and especially at Part 91 operators caused activity to miss the company’s estimate for a 4.2 percent increase in March; this month, it is expecting a 2.8 percent rise. FlightList PRO, at $90 for 3 users no contract, is a favorite of the most experienced charter brokers and travel professionals; 80% of FlightList PRO users have arranged charters more than 10 years, 25% more than 20 years. Free trials available. This entry was posted in Private Aviation Industry News and tagged Air Charter News, Private Aviation News on April 13, 2018 by FlightList PRO. U.S. charter operator Prime Jet has announced two Gulfstream additions to its charter fleet; a 14-passenger Gulfstream IV-SP newly available based at SDL Scottsdale, AZ, and a 16-passenger Gulfstream V available beginning this summer and based from PBI West Palm Beach, FL, according to the operator. 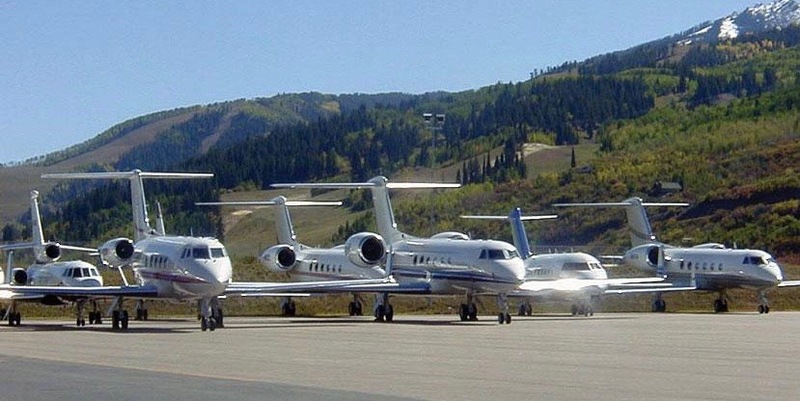 The pictured Gulfstreams join Prime Jet’s charter fleet which now grows to 12 aircraft- all Gulfstream jets, based across the U.S. and internationally. The operator floats 8 of them with one-way pricing, and are included in FlightLIst PRO’s Floating Fleets section. Large cabin jet charters are on the rise, and the category leads the increase in charter flying last month. 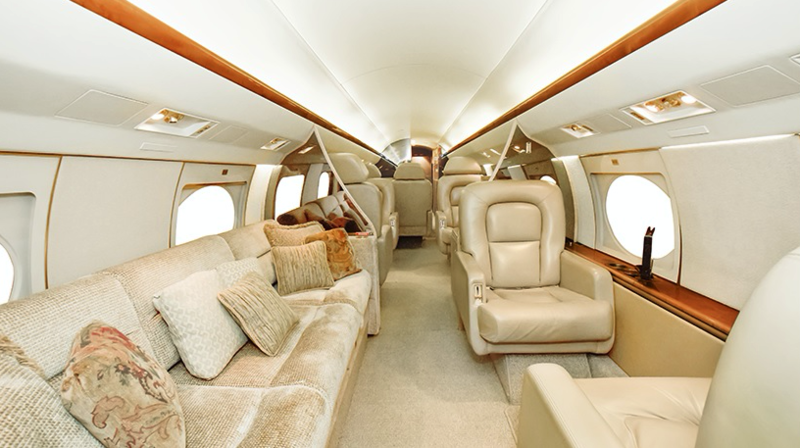 Large cabin jet charters were up a significant 15.1% year-over-year in March, despite a 20.4% decline in fractional ownership large cabin jet flying, according to data released by ARGUS. Part 135 charter flying increased 7.7% overall for March year-over-year. 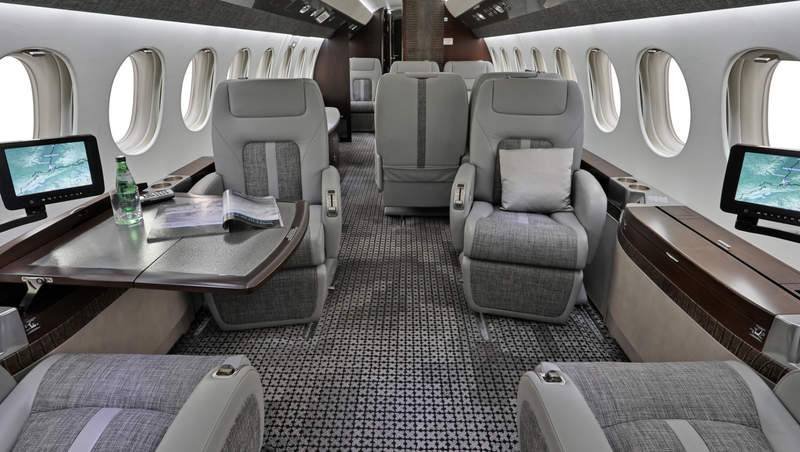 16-passenger Gulfstream V cabin, new to charter with operator Prime Jet. The Gulfstream V and IV-SP with Prime Jet carry ratings of ARGUS Platinum, Wyvern Wingman and ISBAO-registered. FlightList PRO is the only charter platform that includes operator’s safety ratings from all four organizations; ARGUS, Wyvern, ISBAO and ACSF. This entry was posted in Operator Updates, Uncategorized and tagged Floating Fleet, Gulfstream, Jet Charter Operator on April 12, 2018 by FlightList PRO. Charter Global 6000 newly operated by OJets and based Signapore. 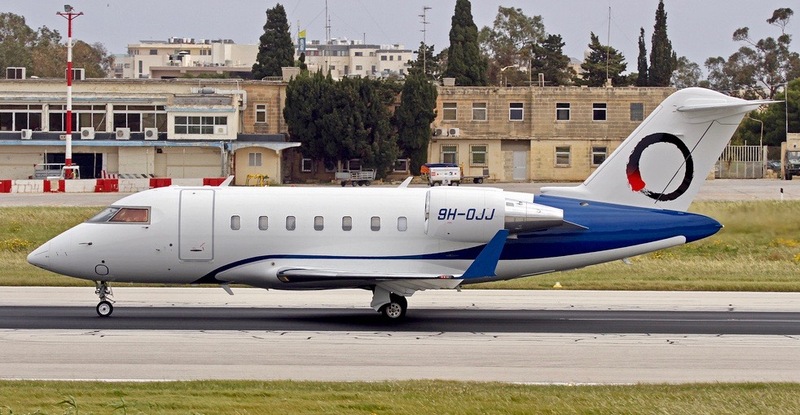 Announced last week, OJets, a new provider of business aviation services, launched charter service with a Bombardier Global 6000 and a Bombardier Challenger 650, newly purchased from Minsheng Financial Leasing Co., Ltd., and reported bold plans for growth. OJets charter aircraft are available only in the FlightList PRO multi-search platform, the only source with all 16,631 charter aircraft and 3,419 operators worldwide. On-Demand Charter. A flexible pay-as-you-fly service, including: one-way trips, choice of aircraft and no hidden fees. Block Hour Program, for frequent travelers. Highly-personalized service with 48-hour guaranteed aircraft availability at a fixed hourly rate, including: global coverage without ferry fees within service area, no initiation fee and no monthly management fees. Headquartered in Singapore, OJets’ world-class team is guided by a commitment to delivering industry-defining service – tailored to the most discerning Asian and international business travelers. Including OJets aircraft, heavy and ultra long range jets based in the Singapore area now number 10 with 7 different charter operators; 2 Challengers, 2 Gulfstream 450, 2 Gulfstream 550, 1 Global 5000 and 3 Global 6000 aircraft. FlightList PRO is the only source with all charter aircraft in Singapore and worldwide. 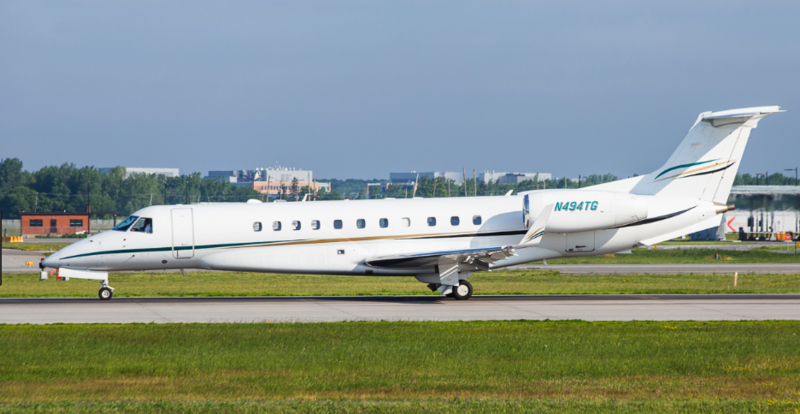 OJets 14-passenger Challenger 650 for charter based Singapore. The OJets brand features the signature “O”, inspired the Asian symbol “enso”, which represents strength, elegance and infinity. Enso is the embodiment of OJets’ vision of connecting East and West with a global reach at the pinnacle of luxury business aviation. Headquartered in Singapore, OJets is an integrated provider of comprehensive business aviation services, including owning and operating a private fleet. For more information see http://www.ojets.com. This entry was posted in Operator Updates, Private Aviation Industry News and tagged Air Charter News, Jet Charter Operator on April 9, 2018 by FlightList PRO. 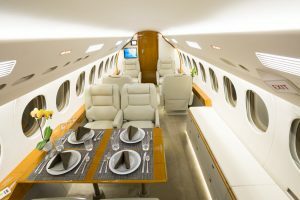 Growing charter operator Global Air Charter based at STP St. Paul, MN has become the latest of a growing number of floating fleet operators, chartering the below 16-passenger Gulfstream IV-SP and 12-passenger Gulfstream IV with one-way pricing. Global’s charter fleet also includes a 12-seat Gulfstream III and a Citation Mustang. Floating fleets are a prominent and growing segment in private jet charter, noted below. Floating Gulfstream IV-SP operated by Global Air Charter with one-way pricing. 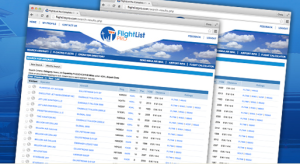 Now part of the FlightLIst PRO floating fleet resource. 16-passenger cabin of the floating fleet charter Gulfstream IV-SP operated by Global Air Charter. Charter pricing with floating fleets can be quite advantageous for one way needs or round trips over many days. Cancellation terms can vary and be stricter with the pricing advantage and the logistics of point-to-point charter flying. Most operators are non-cancelable inside 72 hours from scheduled departure while some are shorter or even immediately upon booking. With this typical business model, most floating fleets are owned by the operator or are under management agreements whereby separate ‘owner approval’ is not required. Ages of floating fleet aircraft, much like traditional charter fleets, vary from brand new production line aircraft to manufacture dates in the 70’s or 80’s. All listed operators have at least one independent auditor safety rating, and more than half have 2 or more of the top ratings; ARGUS Platinum, Wyvern Wingman and ISBAO Registered. 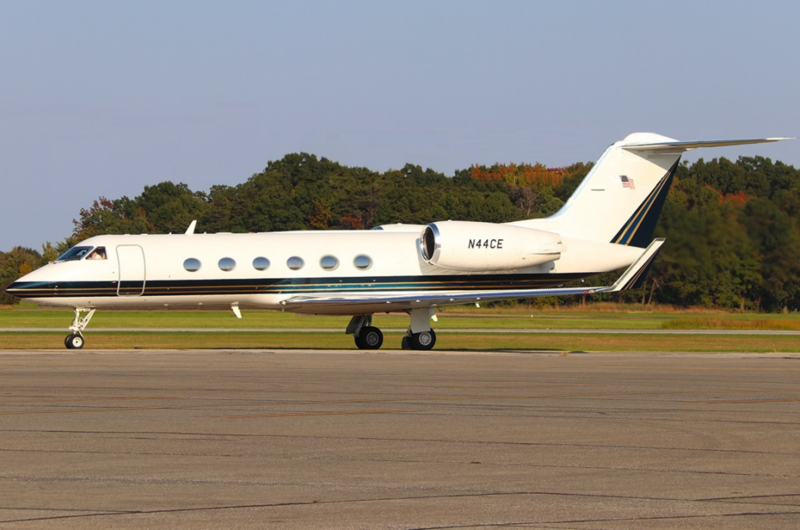 Gulfstream IV charter jet operated by Global Air Charter and included in the FlightList PRO floating fleet resource. 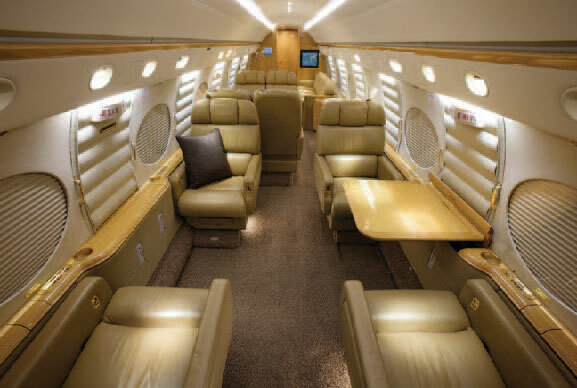 12-passenger cabin of Global Air Charter’s Gulfstream IV, now floating with one-way charter pricing. FlightList PRO is used by the most successful and experienced brokers and travel professionals in the industry; 80% of users have arranged charters more than 10 years, 25% more than 20 years. 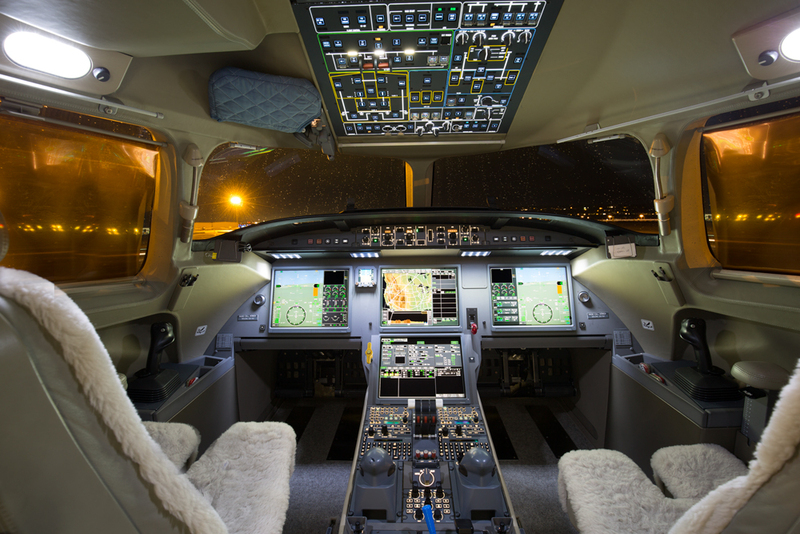 This entry was posted in FlightList Pro News, Operator Updates, Private Aviation Industry News and tagged Floating Fleet, Gulfstream, Jet Charter Operator on April 5, 2018 by FlightList PRO. Air charter activity is up worldwide according to data and anecdotal reports. US and global economies are favorable and consumer sentiment is improving. Recent US tax law changes are providing incentive and resources for business growth in the US and helping fuel the upward trend of business aviation for 2018. We will let the industry speak for itself; from 15 air charter companies, organizations and individuals- compiled here are their own results, projections and commentary on business now and looking forward. From January 18 Forbes.com: “For us at Silver Air, the outlook for 2018 is great in pretty much all areas. We are seeing aircraft sales go up, aircraft charter volume is going up, and charter clients are stepping up in the size of aircraft as well. We are seeing a particularly strong upswing in the Super Mid category. Aircraft like the Citation X and Challenger 300 are in high demand for charter. From January 18 Forbes.com: “Our Jet Card business is growing at a strong and steady pace as more individuals realize the need for private aviation both in their business and leisure travel. Our average growth rate over the past five years has been 30% or more for both revenue and flight hours. I expect that business growth and utilization will continue to grow at 30% or more in 2018. Leading charter brokerage New Flight Charters announced in a national release about current jet charter trends and results: 12.5% increase in charter business overall lead by growth in midsize, super-midsize and heavy jets (+16%), and also turboprops (+18%) in that growing charter market segment. International charters increased by 40% in 2017, led by flights to the Caribbean and Mexico. Drivers to the growth included improved pricing options with floating fleets, personnel/service level, and increased repeat clients. January 2018, it reports, continued the same trends. The company offers the industry’s only “best price guarantee” for jet charter pricing and quotes. Monarch Air Group, an aircraft management company, charter operator and charter broker based in Texas and Florida, published predictions for 2018. For the first quarter, Argus predicts a 5 percent jump in year-over-year business aircraft traffic. January will lead the gains with a 5.4 percent increase, with February and March up 4.8 percent and 4.9 percent, respectively. Overall, business aircraft flights in the first quarter are expected to number 759,169.
Business aviation flights in the U.S. and Canada topped 3 million last year, reaching that mark for the first time since 2008, according to a 2017 Business Aircraft Activity Review released by Argus International. The 30-page review, which details Argus TraqPak flight activity data in 2017, reports that business aviation flights increased 3.9 percent overall and flight hours jumped 5.5 percent over 2016. Year-over-year gains were posted in every month of 2017, Argus said, adding that the improvements were fairly consistent throughout the year. Activity in the first half of 2017 was up 3.9 percent over the same period in 2016, while activity in the second half of 2017 was up 3.8 percent. Part 135 operations enjoyed the greatest gains, rising 9.2 percent last year. This improvement was driven by Part 135 large-cabin jet operations, which led all increases in 2017 with a 14.9 percent jump. Fractional flights ended the year up 4.7 percent, while Part 91 flights inched up 0.1 percent in 2017. Increased Part 91 large-cabin and midsize jet flights—up 2.9 percent and 1.2 percent, respectively—offset a slide in Part 91 light jet flights, down 0.7 percent, and turboprop flights, down 1.3 percent. From January 18 Forbes.com: “For the first time since 2008, flight activity reached over three million flights in 2017, an upward trend we expect to see into 2018 as our TRAQPak analysis forecasted flight activity for Q1 in 2018 to increase 5% year over year. In 2017, Part 135 activity saw the largest year over year operation category increase of over 9% and large cabin aircraft saw the largest year over year increase across the industry, up almost 15%. ACI Jet is an FBO, aircraft manager and charter operator based in Southern California with a charter fleet of 11 midsize through ultra long range jets. From article in Paso Magazine: “Known for its work as a Fixed Base Operator (FBO), ACI Jet has locations at airports in Orange County, Oceano, San Luis Obispo, and Paso Robles, but the company began when Bill Borgsmiller fueled his Piper Seneca III as the company’s first charter aircraft in 1998. ACI Jet now employs 190 people, operates a fleet of private jet aircraft, and celebrates a banner year in 2017 with a 20-year anniversary and more growth in 2018. From January 18 Forbes.com: “We had an incredibly strong year at both Sentient Jet and Skyjet. Each brand saw growth in many of our key-performance measurements. We moved into new headquarters, launched new products, and pushed our brand and partnership visibility up a few notches. I feel relatively bullish on 2018 within the major client markets that we serve, especially those in the financial sector. 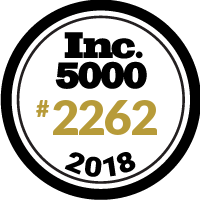 We’re projecting significant growth at both brands and seek to continue to push into new product categories and client segments. This entry was posted in Charter Broker Updates, Operator Updates, Private Aviation Industry News, Uncategorized and tagged Air Charter Broker, Air Charter News, Charter Operator, Private Aviation News on February 8, 2018 by FlightList PRO. 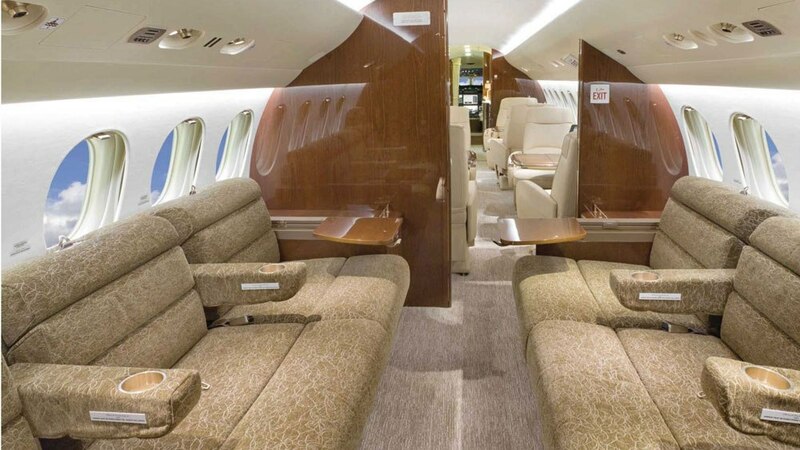 Newly available Falcon 7X long range jet available for charter from Southern California, operated by CI Jets. Now available, the only Falcon 7X from California, and one of just 9 for charter in the United States, CI Jets has announced their recent addition. 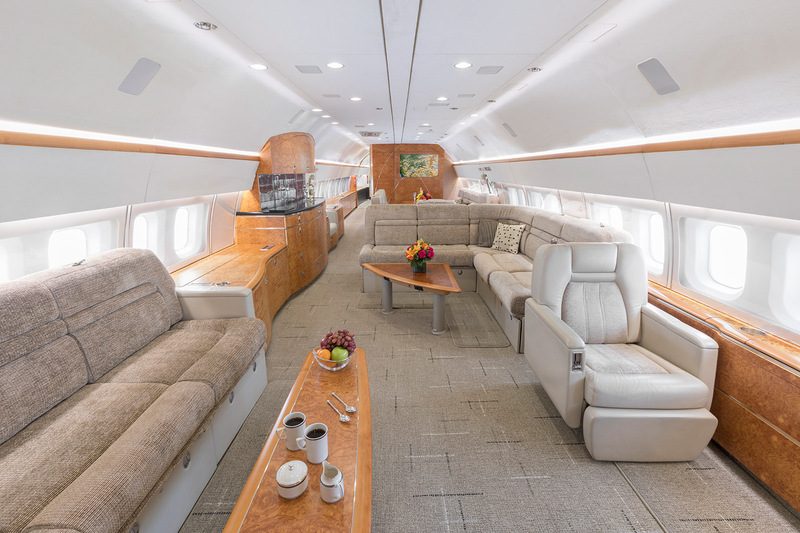 The charter operator, headquartered in Southern California at KCMA-Camarillo Airport, has added the 2008 long range 13-passenger Falcon 7X to their Part-135 certificate and it is currently taking charter bookings. The Dassault Falcon 7X is currently the flagship business jet for Dassault. The 7X is a large-cabin, 5,950 NM range business jet, the largest of its Dassault Falcon line in current production. The model’s first flight was in 2005 and it entered service in 2007. It is the first fully fly-by-wire business jet. The cabin is 8 feet longer than the Falcon 900, seats 13 passengers and is capable of converting to sleeping accommodations for 6. Cabin interior of the Falcon 7X newly available for charter from Southern California. Updated cockpit and avionics of Falcon 7X available for charter. All 9 Falcon 7X for charter are automatically included in the FlightList PRO multi-search platform, the only source with all 16,631 charter aircraft and 3,419 operators worldwide, automatically. 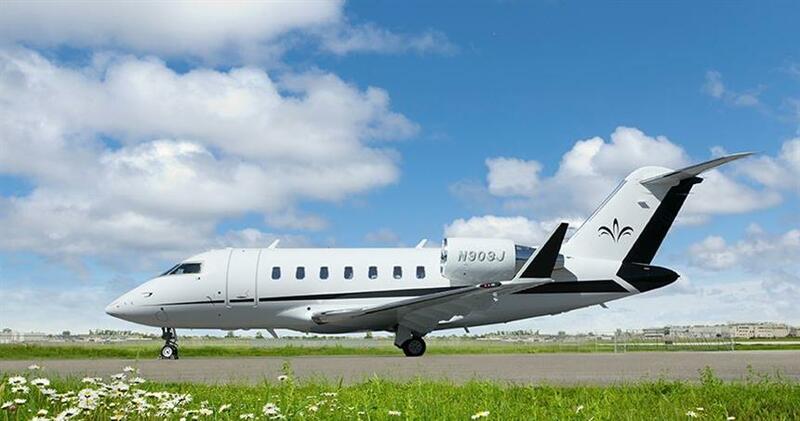 CI Jets has acquired the ARGUS Gold rating and has been in recent growth mode adding aircraft, and now offers three light jets for charter in addition to the large Falcon. This entry was posted in Uncategorized on February 6, 2018 by FlightList PRO. 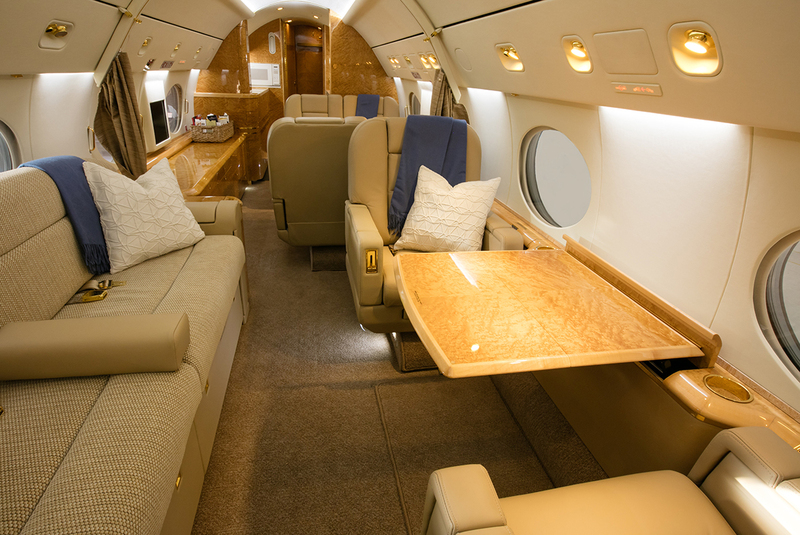 Boeing Business Jet for charter with unrestricted availability, operated by Silver Air. US charter operator Silver Air announces the coming addition of a Boeing Business Jet (BBJ) to its charter fleet, creating the nation’s only unrestricted charter availability on a world-class BBJ. Starting spring 2018, the new BBJ based in Southern California will begin serving global executive and entertainment markets. Silver Air’s Boeing Business Jet has a 16-passenger VVIP cabin configuration. For overnight flights, a 10-passenger sleeping arrangement is available, complete with a master bedroom suite and private bathroom with shower. The Boeing Business Jet is capable of flying more than 6,000 uninterrupted miles and is equipped with the amenities expected on an aircraft of this caliber including: global Wi-Fi, a VIP private office, lounge area, a full service galley with private chef services, and a high-end assortment of DEAN & DELUCA snacks and a selection of world class wines. Boeing Business Jet cabin, operated by Silver Air with unrestricted availability. All 20 Silver Air charter aircraft are included ONLY in the FlightList PRO multi-search platform along with all 16,631 charter aircraft and 3,419 operators worldwide automatically. Silver Air manages privately owned aircraft from Southern California to the Bay Area and Dallas. In addition to the newly signed Boeing Business Jet, Silver Air’s fleet includes light to large-cabin jets: Gulfstream GIV-SP, GIV, Dassault Falcon 2000, G200, Challenger 300, Phenom 100, Citation CJ3, Citation CJ2, and Citation X models. The company’s charter fleet now numbers 20 aircraft, from turboprops to the new Boeing Business Jet. The operator has acquired the ARGUS Platinum and IS-BAO ratings, and is a member of the Air Charter Safety Foundation. This entry was posted in Operator Updates, Private Aviation Industry News and tagged California, Jet Charter Operator, Private Aviation News on January 31, 2018 by FlightList PRO. 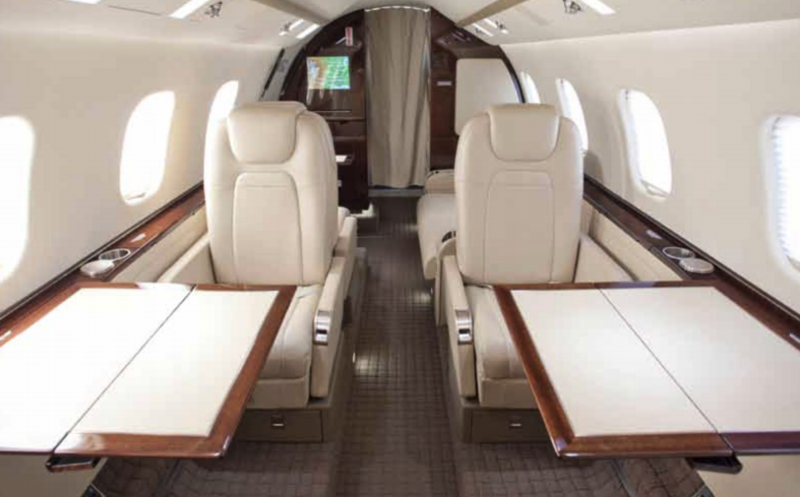 Announcing a new jet charter operator to the air charter industry, with a Hawker 1000 super midsize jet and two Citation SII light jets on certificate, based in the Austin-San Antonio, Texas metro area. Freedom Jets (Certificate # 417A246O, USAC AIRWAYS 694 LLC) currently has ARGUS Gold provisional status and is Wyvern Registered. They are authorized to operate across North and South America and the Caribbean. The Citation SII and Hawker 1000A include onboard Wi-Fi, and the Hawker features a fresh May-2017 interior and exterior refurbishment. Freedom Jets is included in the FlightList PRO multi-search platform automatically, as are all 16,631 aircraft and 3,419 operators worldwide. One of two Citation SII light jets available for charter with operator Freedom Jets, based in the Austin-San Antonio Texas area. This entry was posted in Operator Updates and tagged Citation, Hawker, Jet Charter Operator, Texas on December 19, 2017 by FlightList PRO. Largest Public Listing includes over 150 Jet Charter Empty Legs Nationwide Sourced and Published by Top-Rated Jet Charter Brokerage. New Flight Charters, a charter aircraft owner and leader in the private jet charter space since 2004, in a news release has announced the largest public listing of empty legs in the jet charter industry. The company now is listing over 150 upcoming and available empty legs from U.S. private charter aircraft. 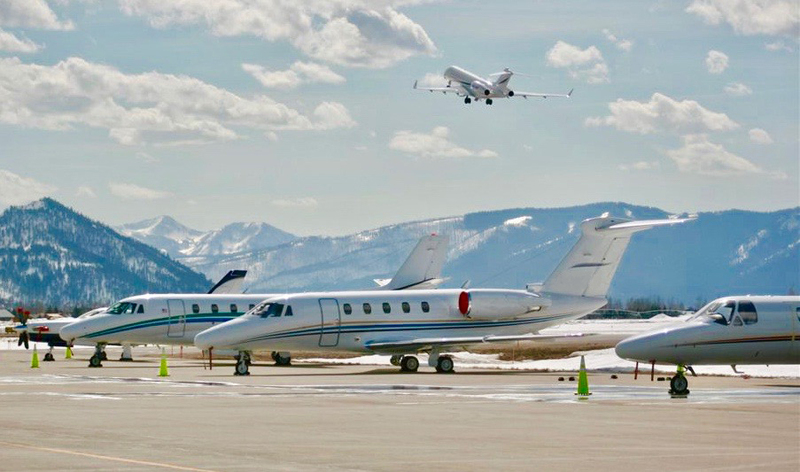 Hawker 800XP jet charter with New Flight Charters at Jackson Hole, WY airport. All Floating Fleets are listed only in the FlightList PRO multi-search platform along with all 16,631 charter aircraft and 3,419 charter operators worldwide. Air Charter Alerts by FlightList PRO, are the latest announcements in the private air charter industry about operators, brokers and charter aircraft, and geared towards active participants in the industry. FlightList PRO is used by the most successful and experienced brokers and travel professionals in the industry; 80% of users have arranged charters more than 10 years, 25% more than 20 years. This entry was posted in Charter Broker Updates, Private Aviation Industry News and tagged Air Charter Broker, Air Charter News, Jet Charter, Private Aviation News on December 18, 2017 by FlightList PRO. International long range jet operator Zetta Jet ceased operations yesterday, Nov. 30, according to court documents. Zetta Jet owned and operated a fleet of branded Global 6000’s and Challenger 650’s and focused on the Asia-Pacific-US region, and had been embroiled in internal lawsuits and a Chapter 11 filing which is now moving to Chapter 7 proceedings. The operator is turning over it’s air carrier certificate to the U.S. FAA according to reports. Just a few weeks after believing that it had lined up $8.5 million in post Chapter 11 petition financing, international air charter operator Zetta Jet is ceasing operations today and turning over its air operator’s certificate to the U.S. FAA. Court documents show that the trustee in the Zetta Jet bankruptcy case, Jonathan King, a partner and co-chair of DLA Piper’s white collar, corporate crime and investigations practice, has asked the court for a change from Chapter 11 proceedings to Chapter 7 proceedings. The change to liquidation came after the U.S. Court apparently denied Zetta Jet’s bid for new financing, a decision that was said to have come as a surprise. 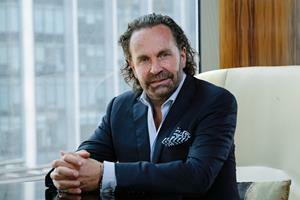 Zetta Jet had filed for Chapter 11 bankruptcy protection in September after ousting managing director Geoffery Cassidy. Zetta Jet in mid-November announced it had arranged financing from existing lessor Scout Aviation II and said it hoped to secure a buyer for the company. The Zetta Jet brand was launched a little more than two years ago and had become one of the fastest-growing charter operators in the Asia-Pacific region with a fleet of Bombardier Globals and Challengers. Although it was originally a Singapore-based company, the bankruptcy proceedings were filed in U.S. courts. The U.S. branch was built up following a merger less than a year ago with aircraft management specialist Advanced Air Management. The FlightList PRO multi-search platform, the world’s largest, includes all 16,631 charter aircraft and 3,419 charter operators worldwide. FlightList PRO is used by the most experienced brokers and travel professionals in the industry; 80% of users have arranged charters more than 10 years, 25% more than 20 years. Access to the multi-search platform for 3 users is just $90/month-to-month. This entry was posted in Operator Updates, Private Aviation Industry News and tagged Air Charter News, Private Aviation News on December 1, 2017 by FlightList PRO.